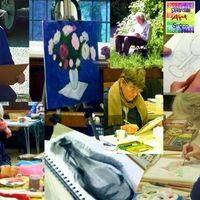 The Art Group undertakes a variety of activities - these articles give a flavour. 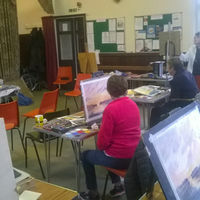 If you are new to our local area - or to painting and drawing etc - do get in touch with us! We are open to new members. Space is limited so we have to prioritise those living in or near Silverdale - and those interested in participating in our activities through the year. We meet regularly on Monday afternoons to work together on individual or shared projects. 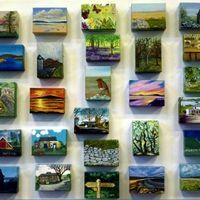 Popular events in our annual programme are demonstrations and workshops, led by a member or, more usually, by an invited local artist. 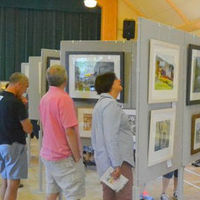 Every year we have a Group Challenge in which we develop a single art work or, more usually, coordinated art works, which we show at our Annual Exhibition.